Before installing the new custom fuel tanks into the TACO Marine Project Boat, issues with the stringers and bulkheads were addressed. 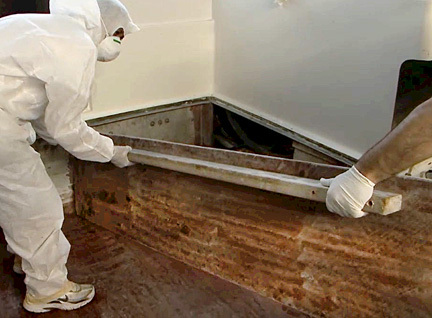 The rotted wood inside the stringers was replaced with a resin infused marine fir plywood, then they were fiberglass attached to the back of the transom. An additional stringer was added between the two fuel tanks to support the deck so it complies with current Coast Guard regulations, which mandates for safety reasons that the deck cannot use a fuel tank for structural support. 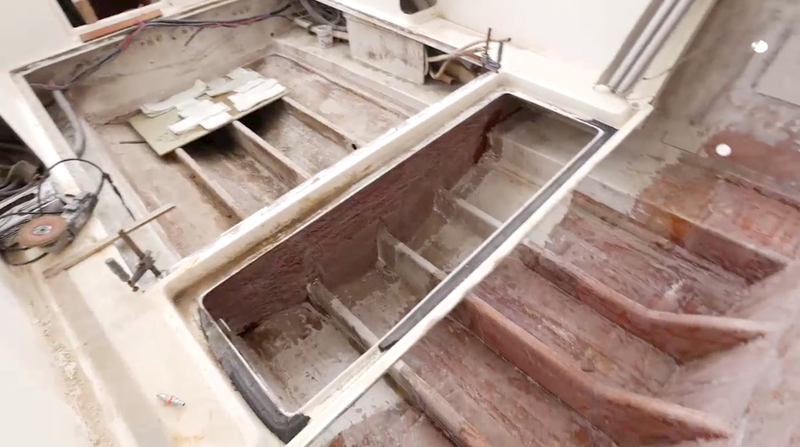 The video below, (edited from Ship Shape TV), provides tips on types of materials we used and changes in structural requirements since the boat was originally built.